The all we know of heaven, all we need of hell bundle features a hand-numbered test pressing of the album. You will also receive the completed version of the vinyl. Included with your order will be a Thank You Note crafted for you by the band and an 18x24 lithograph print of the band. 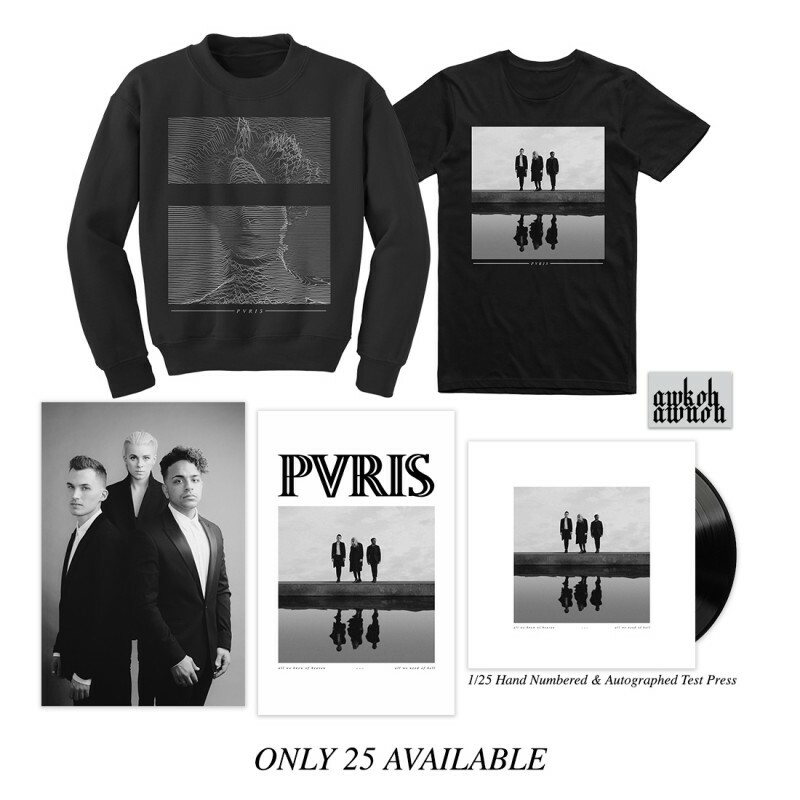 The bundle also includes the album cover t-shirt, the victorian glitch crewneck, an enamel pin with the initials of the album title and an 11x17 poster.